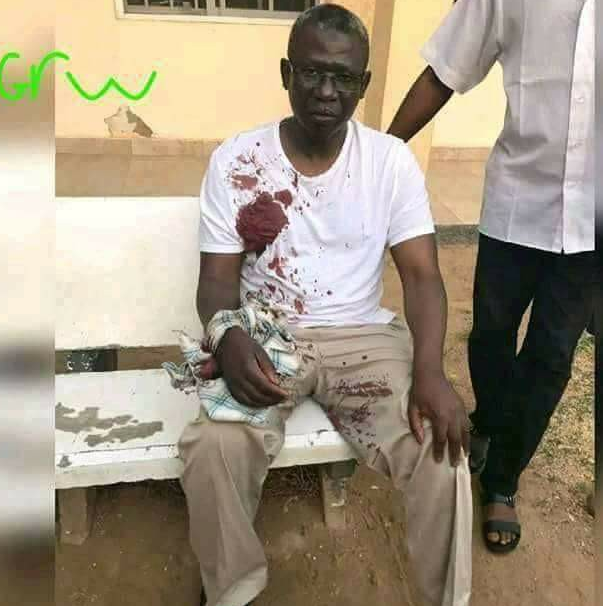 A prominent Kano politician, Alhaji Ibrahim Little, was shot and wounded by unknown gunmen suspected to be along Airport Road in Kaduna state. It was gathered that the gunmen opened fire at Little and his driver while they were about entering the car after coming out from the farm. According to reports, the gunmen shot the politician on the arm and he fell to the ground. Probably thinking that he died, they ran back into the bush. But after some time he was able to struggle and come out and drove to Kaduna with the driver. Ibrahim El-Amin, popularly known as Ibrahim Little, an ally of former Vice President Atiku Abubakar, and ex-chieftain of All Progressive Congress, APC, in Kano State dumped the party and defected to the opposition PDP last year. Mr. Little was the Kano chairman of the defunct All Peoples Party, APP, in 2003. Mr. Little said although he holds President Muhammadu Buhari in high esteem and sees him as someone who believes in a better Nigeria, the president’s aides have hijacked his government. The politician also said he decamped to the PDP because he believed the North-west had not benefitted so much from the Buhari administration unlike the South-west.